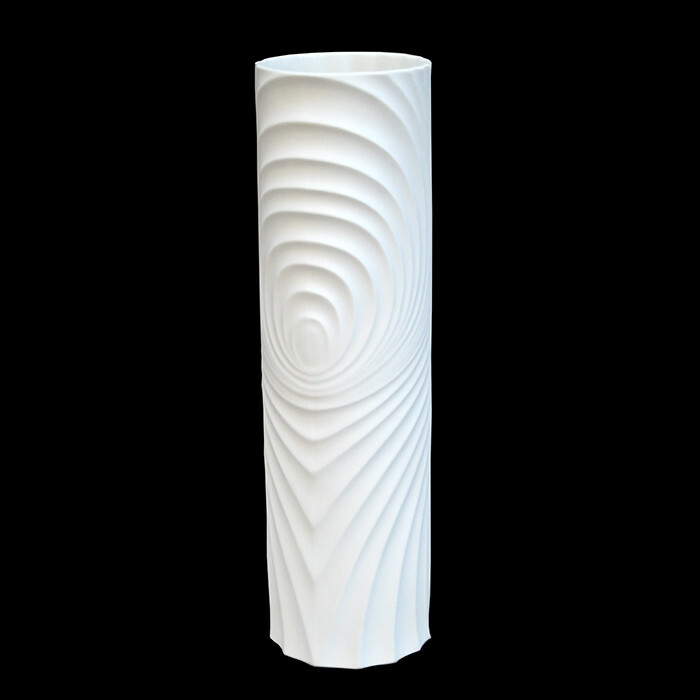 A Modernist tall cylindric vase in matte white porcelain with wave relief. Designed by Scherzer Porcelain, Bavaria. Signed: Scherzer, Bavaria, Germany.